Home→Christmas→Happy New Year and Many Thanks! Fr Paul would like to say a big thank you for all the lovely Christmas wishes, cards, gifts and very generous Christmas offerings he received. Lots of you have been very kind and he is really grateful. 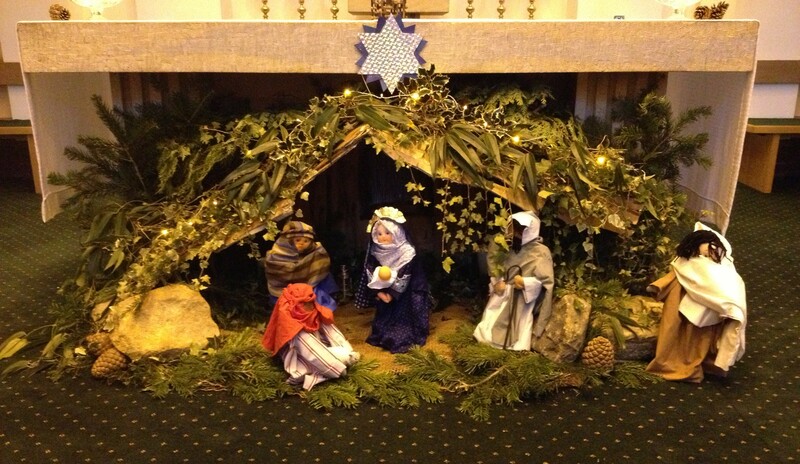 The celebrations in our churches have been fantastic! So many people have put lots of time and work into making our Christmas celebrations really wonderful and special for everyone. To all the readers, altar servers, those who made sure the churches were clean and beautifully decorated, our musicians and singers and those who welcomed our parishioners and visitors to church…to those who directed people to their seats, and anyone else who helped out quietly but effectively in the background …thank you! May 2013 bring many blessings and graces, helping all of us in our church communities to be important witnesses to the presence of Jesus in this part of Derby. Fr Paul wishes you all a very Happy New Year….God bless and thanks again!